Once again, the doors of the NEC will open to welcome visitors for the Commercial Vehicle Show. CV Show 2015 is to be held on 14 to 16 April at the Birmingham exhibition centre, taking up halls three, four and five. It is considered the UK’s largest and most comprehensive get together of companies and industry bodies associated with the CV sector. It may not be entirely focused on bus and coach, but never the less, there is plenty there that will be of interest to anyone running PCVs. B&CB will be there, reporting on all the relevant products and releases. Here, Chris Peat previews some of the exhibitors that will be of particular interest. With the implementation of Euro6 in 2014, Air1 will be promoting the importance of quality AdBlue and contamination issues. It will be showing a commercial vehicle’s catalyst, which has been sectioned so visitors can see exactly how fine and delicate a catalyst really is and why it is imperative that quality AdBlue is used. Voltage conversion specialist, Alfatronix, is to launch a new range of integrated USB chargers. These products avoid the safety issues of mains supply voltages in CVs, while still providing mobile charging facilities for a wide range of devices. 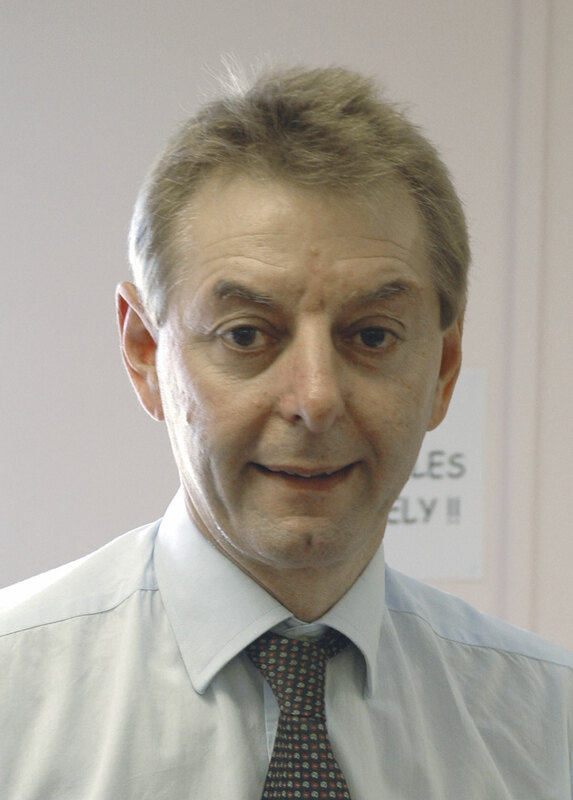 Tyre and vehicle maintenance service agent, ATS Euromaster, is to celebrate its 50th anniversary with the launch of the ‘Little Gold Book’, a guidebook for fleet managers, summarising its five decades of industry expertise. A portable automotive repair and service workshop, suitable for tyre, lubrication, glass, electrical and paint work will be launched by Dawsongroup. Displaying on its new stand, Giti Tire is to launch its latest GT Radial next generation drive-axle tyre. Making its debut will be the GDR638 high performance drive axle tyre designed specifically for medium sized buses and trucks. The design should now be available in 245/70R17.5 and 235/75R17.5 sizes, with seven further 17.5inch and 19.5inch sizes due before the end of the year. With 21 patterns on show from a range consisting of 28, the stand will be split into road, combi, urban, mixed and winter variants to allow for a more defined customer experience. 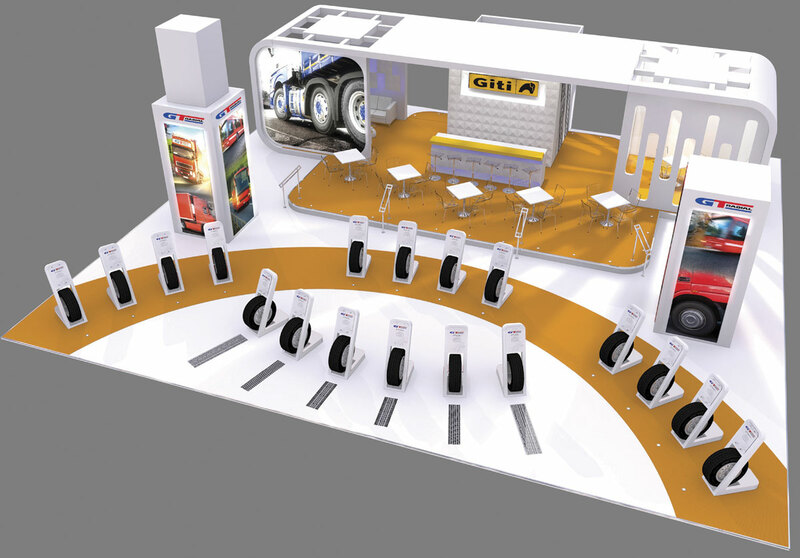 Also on GiTi Tire’s stand will be the GSR225 Combi Road steer axle, the GAU861 all-position urban city-bus, the GAM831 non-directional, all-position mixed service, GSW226 winter marked high traction steer axle plus the GAR820 regional all position tyres. GreenChem (Solutions) is marking its tenth year of trading with a fund-raising golf putting competition in aid of Transaid. In addition, it will use the event to promote its fully bunded dispensing equipment and quality assured AdBlue. 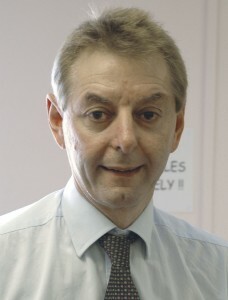 Intelligent Telematics is launching a new dual-camera system. It will be on show alongside the company’s range of camera systems that are designed to help improve road safety, reduce insurance costs, enhance driver behaviour and boost Duty of Care responsibilities. CV auction company, Manheim, is showcasing its newly expanded range of digitally-enabled remarketing channels. Manheim’s national CV team will be joined by colleagues from the CV auction centres, as well as Cox Automotive group companies Motors.co.uk and NextGear Capital. Manheim’s stand will allow visitors to watch and participate in live CV auction events via its online bidding platform, Simulcast. New buyers will also have the opportunity to open a Fast Track account to enable them to join in the bidding. The company will also be unveiling its brand new mobile auction unit. Michelin solutions is to introduce a new generation of ‘Pence Per Kilometre’ (PPK) tyre management contracts offering customers a contractual fuel saving commitment. It is intended to help make fleets even more efficient. The fuel saving commitment will be available on EFFITIRES contracts when fitting premium low rolling resistance tyres. The move is expected to see Michelin solutions, a company within the Michelin Group, become the first provider in the marketplace to contractually commit to fuel savings on its tyre management contracts. To be eligible an operator must have telematics fitted across at least 70% of its fleet, have an operation suited to fitting Michelin low rolling resistance tyres and not currently be using the fitments. In the event the fuel saving target is not achieved, Michelin solutions will reimburse the commitment on a pro-rata basis. Michelin solutions will also use the show to promote its separate EFFIFUEL offer to fleets. This is a solution which brings together an array of fuel saving levers, including eco-driver training, fitment of on-board telematics and tyre management, to improve fleet efficiency and profit margins over periods of up to four years. MiX Telematics will be launching MiX Vision, MiX 3D and My MiX: three new additions to its Fleet Manager telematics platform. MiX Vision is a dual road facing and driver facing video image recording system. 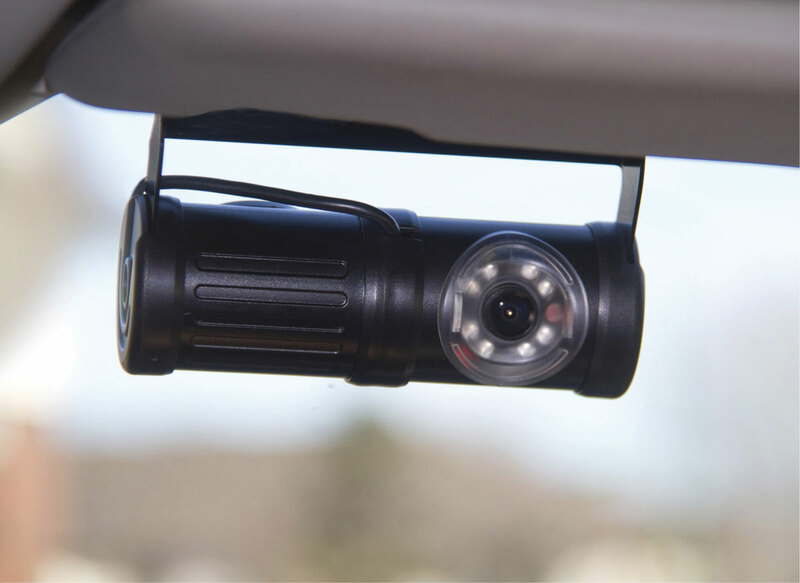 The device simultaneously captures high quality images of the road ahead and inside the driving compartment. For night time recordings, the driver facing camera records infra-red light. It also includes a microphone to capture sound. MiX 3D is a remote digital tachograph data download service, which is offered as an add on to MiX Fleet Manager. Permanently installed within the vehicle, it remotely captures data from the digital tachograph unit and the driver’s tachograph card. It authenticates remote tachograph cards, synchronises data download schedules and transfers data to back office archiving systems. My MiX is a special portal for drivers to access their own performance data and see how they are performing against site averages for key statistics. This portal is streamlined to provide information on their driver scores over selectable time periods and by vehicle. Accessible via desktop PC, Smartphone and Tablets, this application is designed to involve drivers tangibly in business improvement. Morris Lubricants is to offer a first glimpse at its new Versimax heavy duty diesel engine oil products. Fleet owners will be given the chance to take the ‘Versimax Challenge’ to see if they could save money and consolidate inventory by switching to Morris and using fewer grades of oil and lubricants. Morris will also be showcasing its new WHATOIL? web based application, which makes selecting the correct oils for major truck OEMs as simple as clicking a button. O&H Vehicle Conversions is to demonstrate its range of mobile welfare units, including an O&H Fiat Ducato and two vehicles converted for Close Brothers and SHB Hire Ltd. The Close Brothers Welfare vehicle is a MWB high roof Mercedes-Benz Sprinter and SHB’s is a MWB high roof Iveco Daily conversion. An O&H Renault Welfare Conversion can also be seen on the Renault stand. 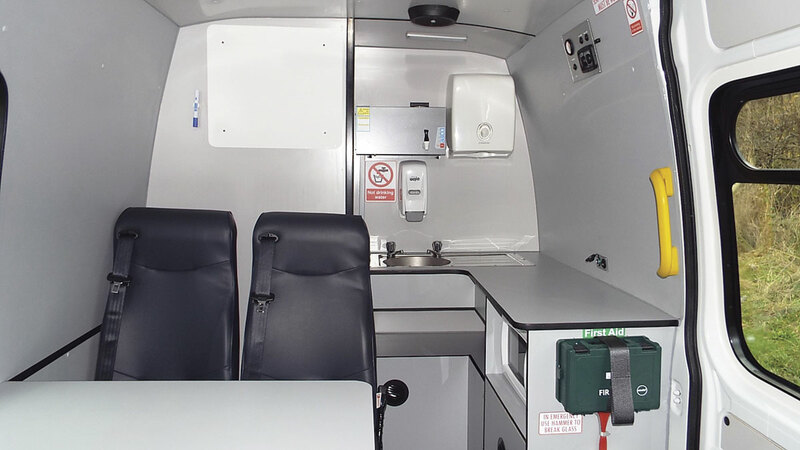 One of O&H Vehicle Conversions’ range of mobile welfare units. The eight seater (seven passengers and driver) O&H Fiat Ducato LWB H3 H2 conversion features ABS moulded saloon panels and a non-slip fully sealed durable rear compartment. This area is ideal for heavy-duty use and can be jet washed clean if necessary. The crew can benefit from the conversions toilet, washing and canteen facilities, which include a 2.5 litre water boiler, hot and cold running water, a sink, microwave, a 15litre compressor driven Travelbox fridge, a first aid kit, hand gel dispensers and a fully functioning environmentally friendly toilet, which collects and disposes of all waste hygienically. Parma Industries are to launch a new wheel safety product. Zafety Lug Lock fits to two adjacent wheel nuts to minimise their ability to come loose. It is designed to operate at very low and high temperatures as it does not distort or degrade. This makes it a reusable product and it comes with a two year manufacturing warranty. Also featured on the stand will be the Propoint visual wheel nut markers and the Prolock wheel safety device together with Parma’s long established range of stainless steel wheel trims, nut caps, nut rings, and associated products. 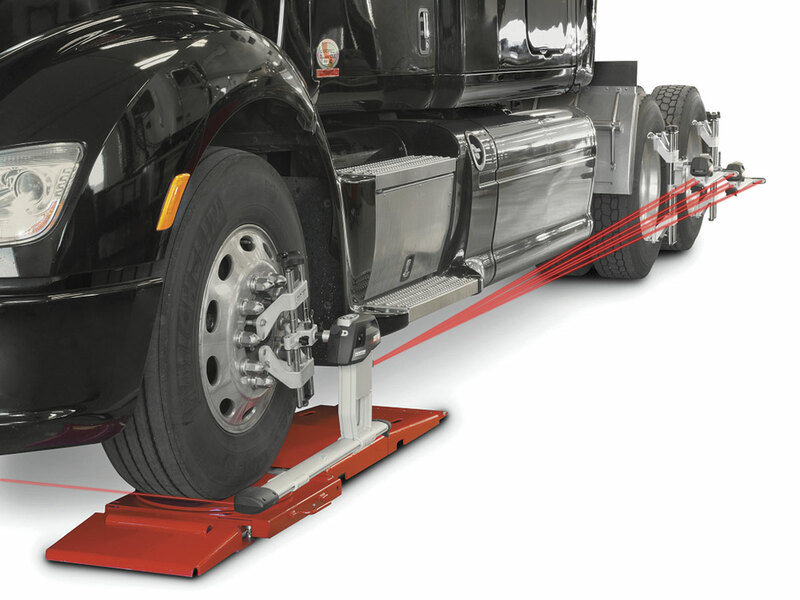 Pro-Align is to debut its new Hunter CV wheel alignment system. A real time tyre pressure and temperature monitoring system will be the focal point of RL Automotive’s stand. The new TyreWatch solution monitors a fleet’s tyres for pressure and temperature over 24 hours, seven days a week. The package consists of sensors inserted inside each wheel rim, a display screen in the cab and a GPS transmitter that transmits real time information via the mobile phone network. It automatically send alerts by e-mail for slow punctures and high temperatures. 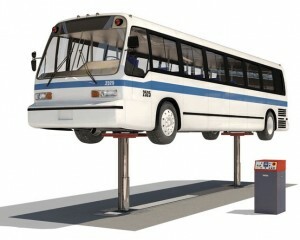 Stertil Koni will be introducing two new products to its range of lifts for the UK market. These include the new eBright Smart Control System and the versatile in-ground DiamondLift. Featuring full colour touch screen control consoles, eBright has been designed and developed to simplify operation of the company’s range of wireless mobile column lifts. During use with Stertil Koni Earthlifts, the system also indicates the individual load on each column in the set although this feature is an optional extra on other wireless mobile column lifts. The DiamondLift in-ground lift is available in both steel cassette and frame versions to ensure suitability in different installation environments. This flexibility is complemented by a choice of length and travel positions. It may be specified with two or three 15,000kg capacity lifting rams to provide a maximum lifting capacity of 45,000kg. On Stoneridge Electronics stand will be the company’s latest digital tachograph, the SE5000 Exakt Duo2. The device uses Duo Technology, which provides drivers with real time information on their current situation. The tool helps them optimise their time on the road and adapt to any changes in their journey, as well as helping them to stay legal, avoiding costly fines. Also on show will be the Stoneridge range of testing and tachograph calibration solutions, including the launch of the VOSA approved tachograph test and the BM Brake Tester. Tachodisc is to showcase its range of tachograph analysis and digital solutions. Leading the line-up will be its analysis software, which has recently been rebranded as Clockwatcher and features touchscreen digital signature capture technology. Also new is the launch of TachoLive (previously known as TachoMax), which uses advanced new features to uniquely send real time information on a driver’s hours direct to a Traffic Manager via a live feed. This latter solution has been developed by Tachodisc and CMS Supatrak, who will also share a stand at the show. Tyre supplier, TD Tyres, will be promoting its range of tyres at the show. The company provides a range of different brands, including Uniroyal, Barum, Bridgestone, Kama, Falken and more. The team will be on hand to assist with tyre choice. New AdBlue supplier, Top!Blue, is to make its debut, with further details on its fully owned blending plants and range of innovations for large UK fleets. Trakm8’s recent developments to its Fleet Management Solutions mobile platform and innovative telematics technology will be exhibited. There will be a chance for delegates to see the company’s web based Fleet Management Solutions and enter its show competition to win an iPad. Its full range of solutions are to be shown, from the ecoN fuel saving device with driving behaviour monitoring to Trakm8 Tacho, the automatic remote tachograph download and analytics programme. All of Trakm8’s Fleet Management Solutions are powered by its own UK manufactured telematics devices. Triscan’s team will be available for an expert chat on its range of fuel dispensing and management products. The company will also be running a competition to win an iPad. Software and tachograph company, TruTac, is launching its enhanced TruControlPSV software solution. It has been improved with various new features, including attestation letters, the twelve day coach rule and fully customised reports with company specific logos and branding. Data is calculated on real time tachograph analysis and incorporates driver monitoring with an enhanced de-briefing system. 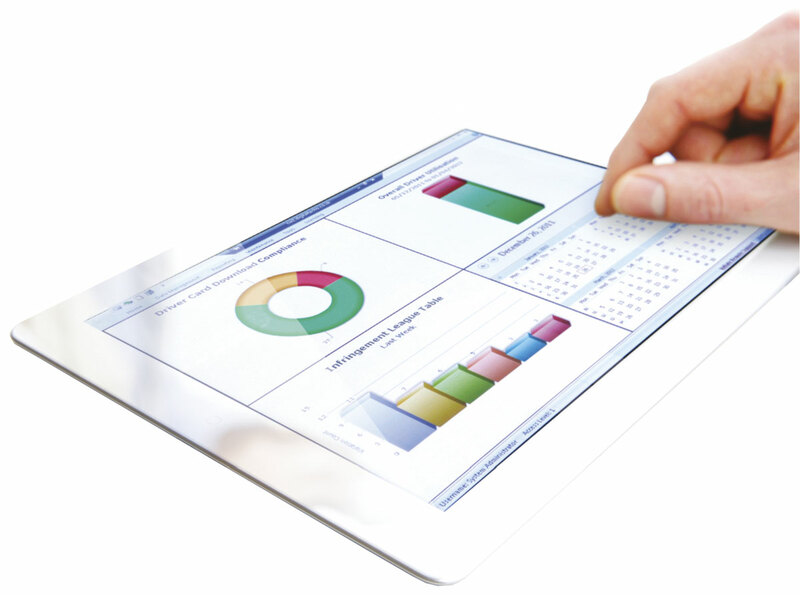 The system gives clear visibility of critical data in graphical dashboards, reports and alerts for simple compliance management. It is designed to be a complete compliance, driver management and debriefing system. First time exhibitor, The Tyre Equipment Company, is a long established supplier of tyre service parts and aims to provide everything that a customer should require for their tyres. The company works with numerous equipment manufacturers, such as Vipal, Schrader, Gaither, PCL, Universal Tool and Omega Jacks, in its goal to provide an impressive product portfolio. Amongst the items on display will be impact wrenches, tyre levers, tyre valves and torque wrenches. Displaying at the show for the first time is Unwin Safety Systems. The company will be presenting a new catalogue of safe and reliable products for wheelchair accessible vehicles. Included are BraunAbility wheelchair lifts, FEAL ramps, restraint systems, Innotrax flooring and seat fixtures plus a new 24/7 breakdown repair service for BraunAbility lifts. Parts specialist Valeo Service UK is officially launching a number of new products, including applications for the Mercedes-Benz Actros, as well as a Ford Transit parts catalogue. Webasto is to show its portfolio of products for OE and retrofitting. Its 435sq.m stand enables it to display a range of complete vehicles from many of its UK customers and bespoke builders. It will show its Vancouver universal vertical air conditioning unit, as well as the Moscow, a model optimised for minibuses seating up to 25 passengers. With a constant air flow and cooling capacity of 13.4 kW, it runs on a rated voltage of 12 or 24V. Both the Moscow and Vancouver are designed for installation under the dash or under the roof. WheelRight is to show its drive-over tyre pressure and weigh-in-motion (WiM) measurement technology.